This might be the most sophisticated job scam I've ever seen. Thanks to a near-victim, you'll get a rare chance to see a real pro almost pull off a nearly perfect digital caper. You do things when you are job hunting that you wouldn't normally do. You meet strangers. You share a lot of personal information with the world, on resumes and through job sites. You're vulnerable. And most critically: You generally need money. 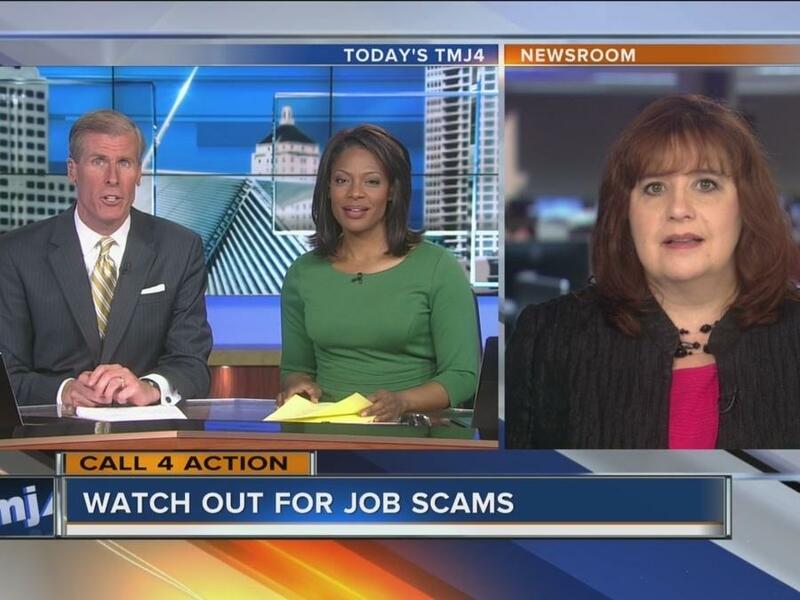 It's a scammer's dream, and that's why job-hunting scams are so persistent and prevalent. Every chance I get, I try to explain that "smart" folks fall for scams all the time — and those at greatest risk are those who think they are too clever for criminals. This is one of those stories. Josh Belzman is not just a tech savvy worker; he's spent the better part of the last decade as a social media professional in Seattle. He's been working in and around the internet's cesspools for years. Still, he recently went halfway down the aisle with a criminal offering the false hope of an exciting job in social media. Like all victims and near victims, he couldn't stop blaming himself as he described the sequence to me— but I can see exactly why Josh danced with the devil. Josh, 39, is job hunting, and he received an email from a woman named Morgan who said she worked for a big law firm and needed contract social media work for $39-$45 an hour. That kind of short-term gig is exactly what people like Josh need while they look for their next career step. "I probably should have trusted my spidey sense and not engaged at all but you know how it goes when looking for work— your guard and confidence can drop," he said. Morgan asked for a Google hangout chat as a first step. Josh did his due diligence, and Googled her. Up came a LinkedIn profile that checked out. She had a long professional history in the Seattle area, including alleged stints as a ski instructor at nearby Snoqualmie Summit. It said she had worked at various law firms dating back to 2009. The firm (I won't mention it) was real. So he jumped online, ready to answer her questions and ask a few. Generally, con artists betray themselves during real-time interactions. They speak poor English, they show obvious lack of subject matter knowledge, and there are awkward delays. Morgan exhibited none of those. In fact, her questions for Josh were spot on. Here's a partial list I pulled from a transcript of their chat. "Could you give us an example of a limitation on a social platform that you have experienced? How did you overcome this?" "Have you ever had to handle a Social Media crisis? If so, could you provide an example and how would you describe your work ethics?" "How would you allocate our Social Media advertising budget and How do you evaluate new social platforms? How do you stay on top of the latest updates and innovations in Social Media?" "Do you have your own blog? Do you currently write content for various Social Media platforms and why should we hire you?" Josh answered each one deliberately. After each response, she replied, "good," "very good," and eventually "great." All what you'd expect, or even hope for, during an interview. Reading through the full transcript, you can see in retrospect that all these questions could have been cut and pasted from a script. In fact, I suspect the criminals somehow lifted them from an actual interview involving a social media position— perhaps they'd applied for a job themselves earlier just to understand what "marks" would expect. Only once was there something more that might have tipped off Josh. When he, smartly, tried to interrupt and ask his own questions, Morgan's reaction was a bit off. Josh: Mind if I ask a few questions about the role? Morgan: Sure when we done with this process so you can get all the details you need to know. Morgan: How soon can you begin work if luckily chosen for the position, do you need any our Company benefits and what means of Payment would you prefer; Check Or Direct Deposit? Morgan: What bank are you with for Direct deposit/Check so we can see if it tallies with our preferred banks and do you have any question before i move forward? Josh: I'm not comfortable sharing banking info online. The "line" went immediately dead. Fortunately, after an hour of "seduction" and with the lure of a $35-an-hour job, Josh did listen to his spidey sense and threw up a roadblock. And as soon as Morgan saw he wouldn't play along, she "hung up" on him. An hour or so wasted, but it could have been much worse. "I should have never entertained this — the initial email was sketchy but I chalked that up to some office admin being asked to help find candidates," he said. "Going back through I see very few comments in 'her' voice— just a lot of cut-and-paste questions and 'OK good.' Amazing the tricks your mind plays in you when you're visualizing a certain situation." After the disconnect, Josh called the firm and was told no one by that name worked there. I, however, did find someone with her name who had posted a resume that was similar. It's likely the con artists assumed elements of her identity for the scam. I emailed her, and got no response. I also emailed the person who chatted with Josh and got no response. "The initial email was unsolicited with that odd name but I saw the LinkedIn profile and I've had some of those mails come through (job sites)," Josh said. "The hangout thing raised eyebrows but I suspended some of that because I got caught up answering the questions." So what should you do? The big one: Always trust your gut. I pretty much never talk to anyone who falls for these things who doesn't say they had a queasy feeling in their stomach at some point. Also, do what Josh did. Say it out loud: "I'm not comfortable with that." It's a handy phrase. A real person will react with an apology to that, like "Oh, I'm sorry, I didn't mean to make you uncomfortable." A con artist, or a bad person, will push you instead. Or hang up. Finally, be realistic. If you are out of work, you are vulnerable. No matter how smart and put together you think you are. Know that going in. You'll be more likely to hit the pause button if things go south, and generally, hitting pause is enough to scare off bad guys. Here's a handy list of ways to spot "Work at Home" scams. And if you think you've already fallen prey to an identity theft scam, it's a good idea to keep an close eye on your credit. New accounts you don't recognize on your credit reports or a sudden drop in credit scores are signs that fraud is afoot. (You can pull your credit reports for free each year at AnnualCreditReport.com and view two of your credit scores for free each month on Credit.com.) You can find more steps to take if you are an identity theft victim here.